Company logo on sponsor ‘Thank You’ board at event. Company name on iidaflc.org website Calendar event page. Verbal ‘thank you’ announcement at event. 1 sponsor admission tickets to the event. 2 sponsor admission tickets to the event. Teams and their sponsors will be given a local monument to replicate in gingerbread! Supplies will be on hand the evening of the event to design and decorate. Teams will be given their assigned monument (1) week in advance in order to purchase and design structural materials. 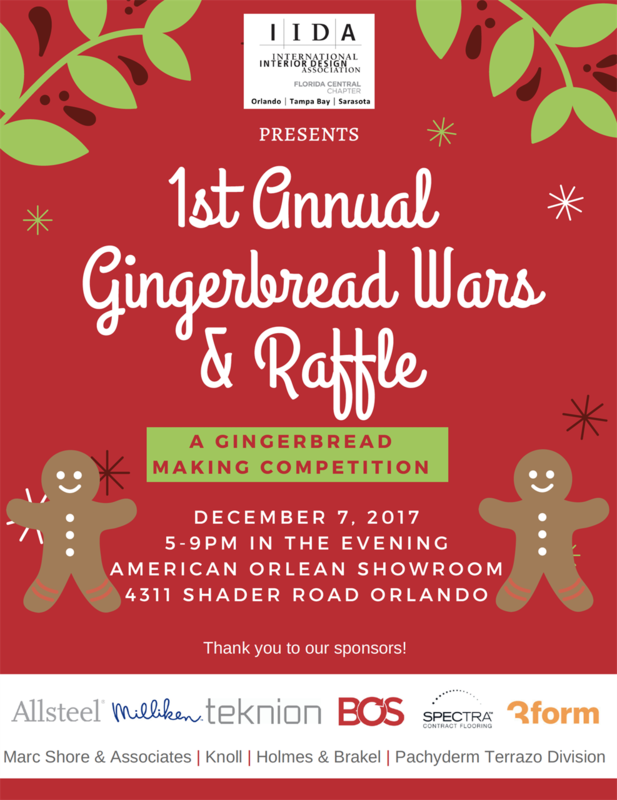 Gingerbread monuments will be raffled off at the end of the evening with all raffle process benefiting the Salvation Army holiday meals.